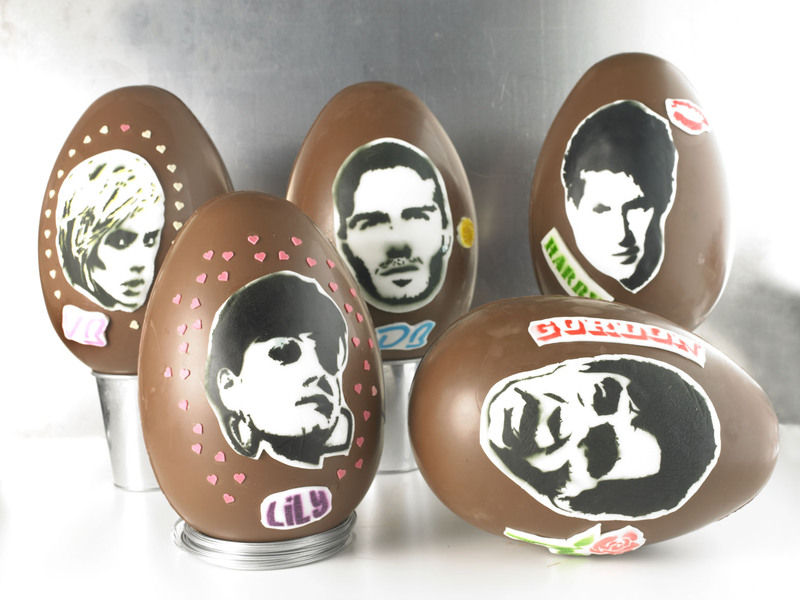 I realise it’s a little late for Easter but it’s never too late for chocolate… We were asked if we could somehow paint some celebrity heads onto some huge (1kg) dark chocolate eggs. The eggs were for Thorntons and were to be auctioned off for the children’s charity Barnado’s. 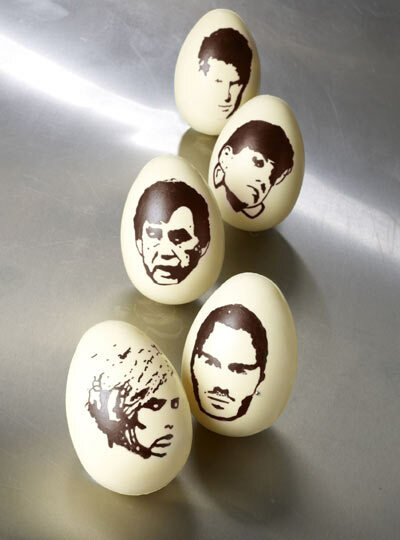 Other eggs were also be to be designed for the auction including one from fashion designer Henry Holland, celebrity tattooist Louis Molloy (who recreated two of the most popular designs available at his Manchester-based tattoo parlour – swallows and bluebirds) and patissier Eric Lanlard, cake-maker to the stars (who created an egg lavishly decorated with gold leaf and sugar crystal pieces).